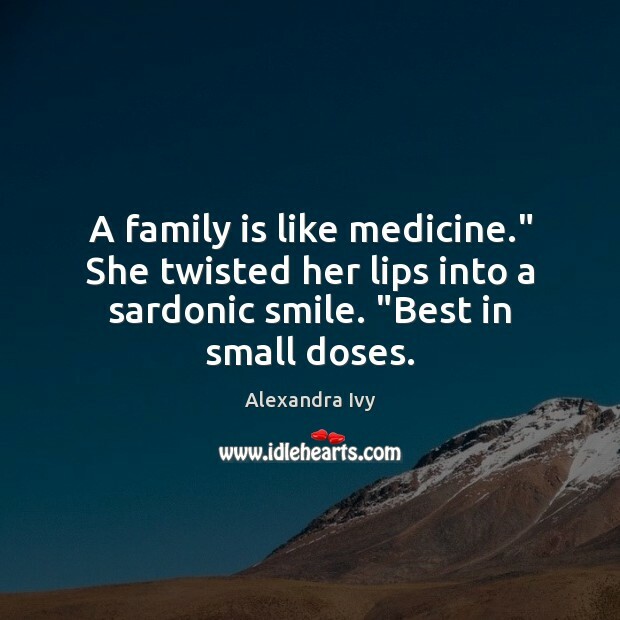 Enjoy the best inspirational, motivational, positive, funny and famous quotes by Alexandra Ivy. Use words and picture quotations to push forward and inspire you keep going in life! 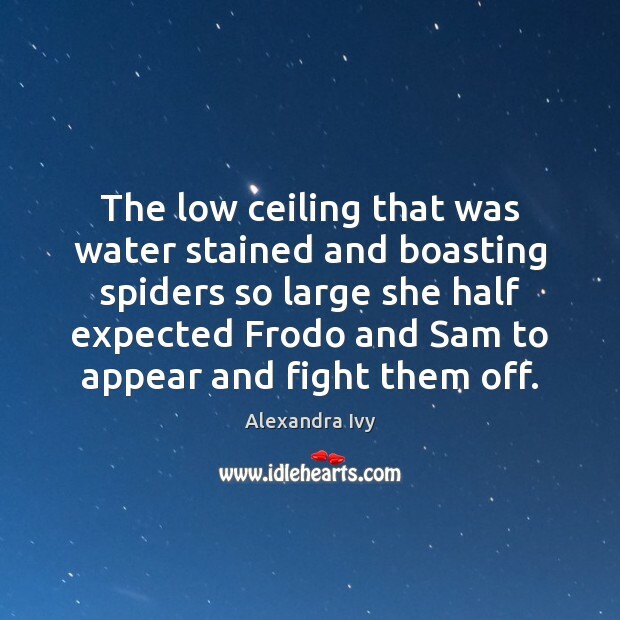 The low ceiling that was water stained and boasting spiders so large she half expected Frodo and Sam to appear and fight them off. 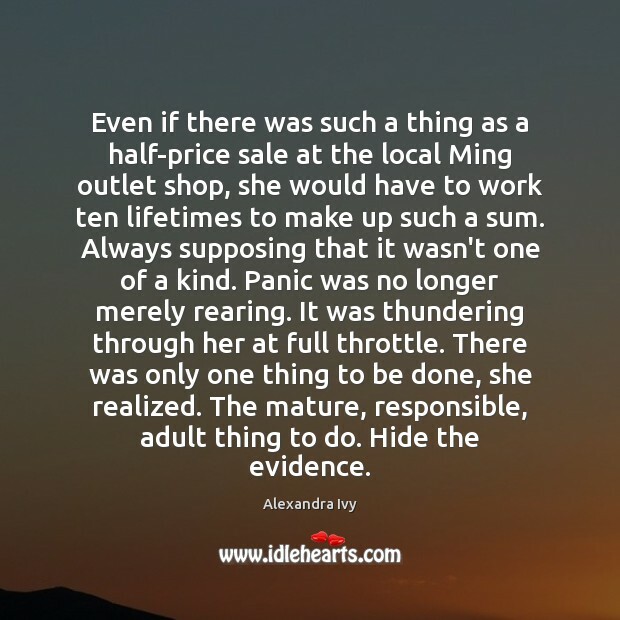 Even if there was such a thing as a half-price sale at the local Ming outlet shop, she would have to work ten lifetimes to make up such a sum. Always supposing that it wasn't one of a kind. Panic was no longer merely rearing. It was thundering through her at full throttle. There was only one thing to be done, she realized. The mature, responsible, adult thing to do. Hide the evidence. 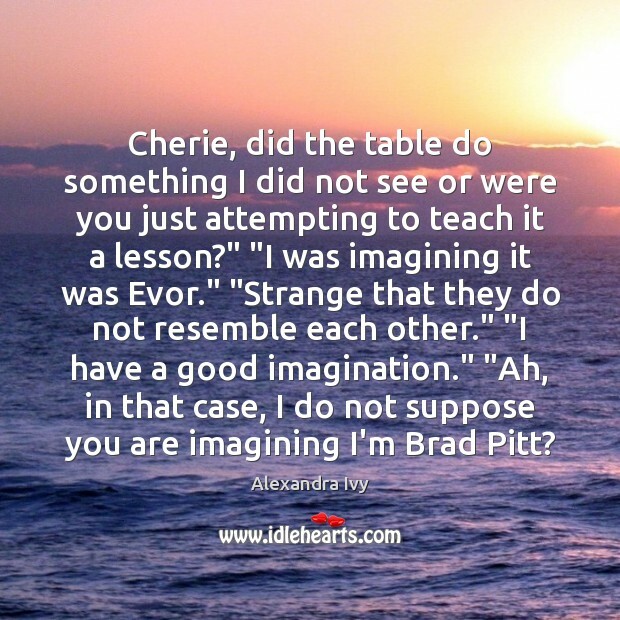 Cherie, did the table do something I did not see or were you just attempting to teach it a lesson?" "I was imagining it was Evor." "Strange that they do not resemble each other." "I have a good imagination." "Ah, in that case, I do not suppose you are imagining I'm Brad Pitt? 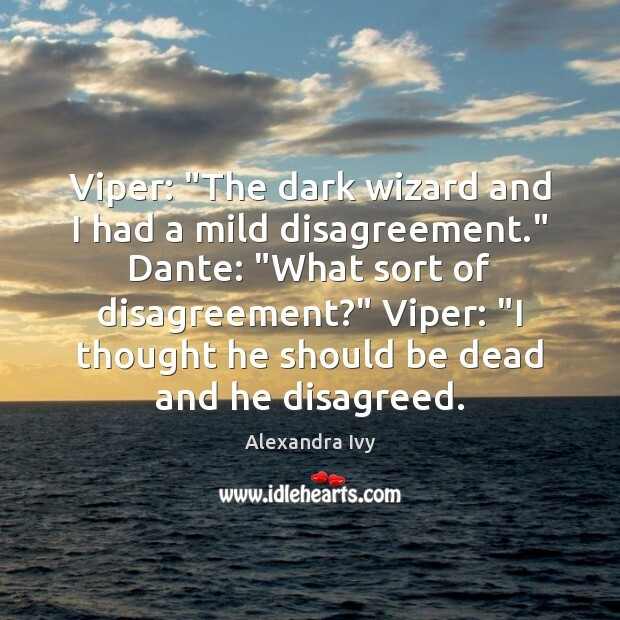 Viper: "The dark wizard and I had a mild disagreement." Dante: "What sort of disagreement?" Viper: "I thought he should be dead and he disagreed. 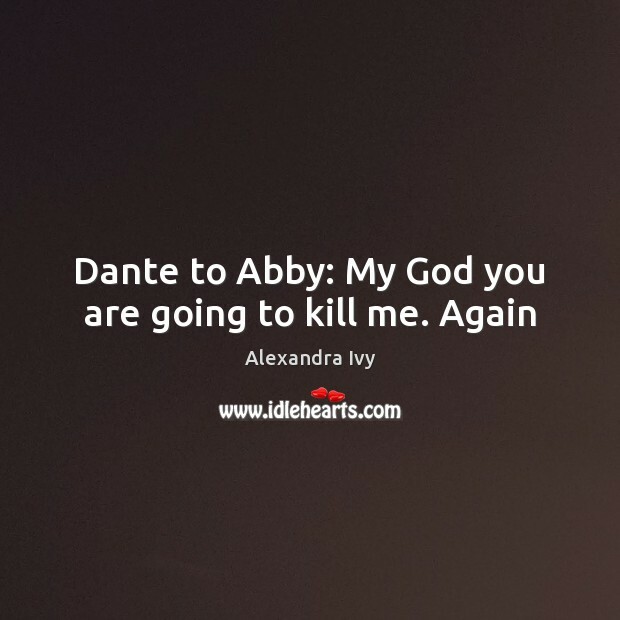 Bon chance, mon ami," Dante called softly. 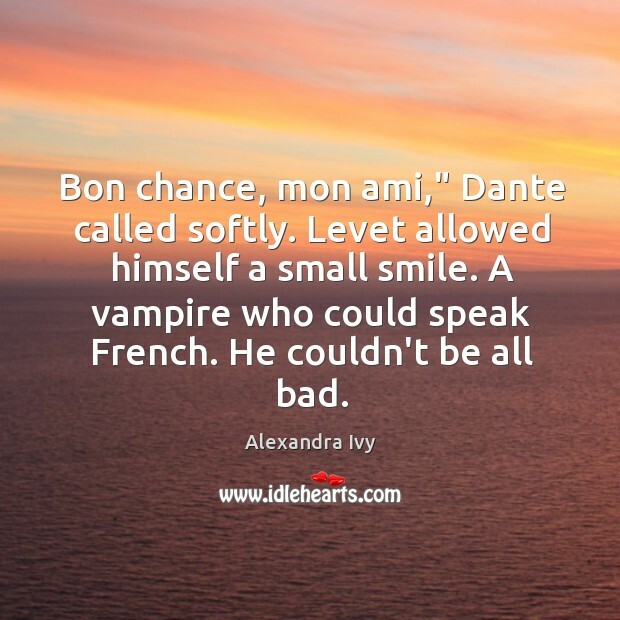 Levet allowed himself a small smile. 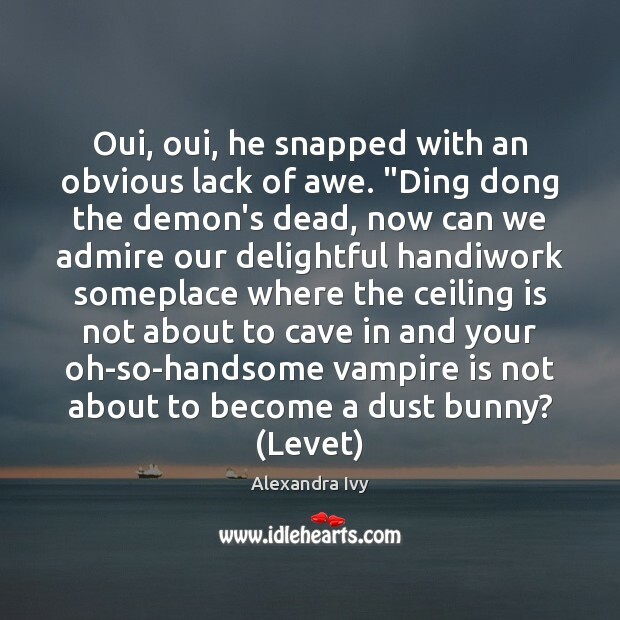 A vampire who could speak French. He couldn't be all bad.